Club Update - March 6th - ACTIONS! ​London New Zealand Cricket Club (LNZCC) is very pleased to offer cricket for New Zealanders wanting to play on some of the finest club cricket grounds in the world. 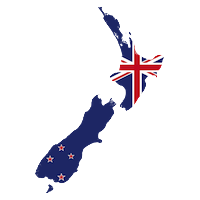 Established in 1952, we are very proud of our New Zealand heritage and of our bonds with New Zealand Cricket and the New Zealand High Commission in London. LNZCC is a wandering side playing 27 fixtures each season in and around southern England, and in Ibiza. We are quite possibly the finest way imaginable of playing a good standard of cricket on some fantastic grounds with a low level of time and effort commitment. (No practice commitment; no need to play every weekend; we're very accommodating.) If you'd like to play cricket with a good bunch of people in the grounds of a stately home and other historic cricket pitches, then we are the club for you. Good luck and we look forward to sharing a few beers and bit of a yarn with you all over the coming months. 2019 will be a big cricket year in the UK - we open the season vs The Wimbledon Club in April and we're rolling through a full schedule of the matches including new games vs Spencer CC and Tusmore Park CC and Winchmore Hill CC. We finish with the tour to Ibiza in October. ​We're delighted to be partnering with Middlesex CCC again this year and look forward to seeing LNZCC's magnificent colours in the Pavilion and the Long Room at Lord's later in the summer. Our full list of Fixtures has been updated on the Fixtures tab above. To join one of the teams, use the Fixtures tab on the top menu and click on the Match Manager's name to send an email to get involved. We have some generous support from various sponsors. Please recommend and use their services.